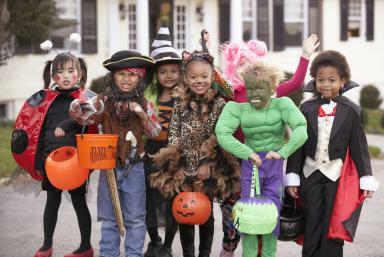 Today is Halloween, and many children in our town will be trick-or-treating tonight. If the weather is fairly nice, we will probably have over 200 ghosts, goblins, princesses, super heroes and such visit our house, expecting us to provide them with some candy. This has become one of the favorite days of the year for my wife and me. We enjoy the visits from children and parents. We get a chance to see some of our best friends, and to meet some people we don’t know. There will be many smiles and much laughter. Some Christians don’t participate in Halloween, and I respect their decision. However, I don’t see that those who do choose to participate in the festivities are giving in to the dark side. Quite to the contrary, I think that we are seizing the day by taking what some would consider to be evil and turning it into a time of good, clean fun. “We demolish arguments and every pretension that sets itself up against the knowledge of God, and we take captive every thought to make it obedient to Christ.”—2 Corinthians 10:5. This entry was posted in Christian Living and tagged 2 Corinthians 10:5, Christians and Halloween, Halloween, illustration, obedient to Christ, trick or treating, we take captive every thought. Bookmark the permalink. Good job. Just what DJ needed to understand and it answered one of his questions.